San Diego is ranked in the Top 5 for U.S. News & World Report travel rankings for things like Best Weekend Getaway and Best Family Spring Break. 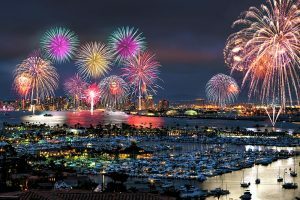 San Diego is also host to some of The Best Annual Events year around. Book our San Diego Event Limousine Bus Rental Services any day of the week so you can enjoy the event of your choosing, while the driver navigates the city for you safely. We have also compiled a list of The Best Annual Events in San Diego below. 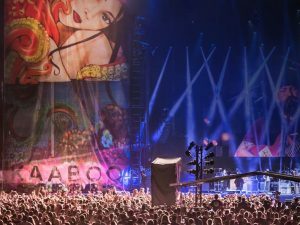 We also work with some of the Largest San Diego Music Festivals and San Diego Music Events year round, so be sure to check out NocturnalSD.com and save on your Admission by using Promo Code "NOCTURNALSD". We guarantee you will have an amazing time with any vehicle we set you up with at The Lowest Limo Discount Rates in San Diego. 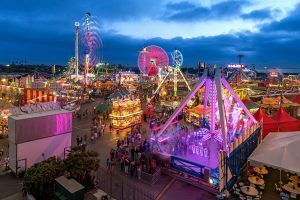 For any Downtown San Diego Event or San Diego County Fair, for example, parking is always a big issue. Uber and Lyft also have major surcharges during different events. Remove the guessing game and book San Diego Event Limo Rentals. With every option to choose from at your disposal, you can experience luxury at its finest at a price you can afford. We also provide options for Luxury Sedans, Luxury SUV's, and Sprinter Vans for smaller groups and affordable rates. 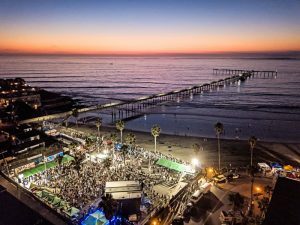 Whether your looking to have a party atmosphere, or just needing standard San Diego Shuttle, San Diego Event Bus Rentals is your one-stop shop for every Bus option available in San Diego. 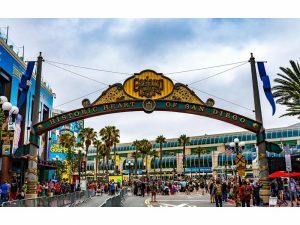 Check out a Padres Game at Petco Park, or the Annual San Diego Comic-Con at the San Diego Convention Center with up to 56 of your friends in a Party Bus, Shuttle Bus, or Charter. San Diego Party Buses are the most requested form of Transportation for larger groups while you enjoy a nonstop celebration of fun in between your event venue locations. Just ask any of our amazing sales representatives for further information. We have perfected the way we price out Limo Transportation Services in San Diego. San Diego Event Limousine Bus Rental Services Pricing can easily be determined using our internal software with prices that have been intricately negotiated with multiple Limo Companies throughout San Diego. All Limousines, Sedans, and Buses are available with Point to Point Rates, One Way Transfers, Hourly Service Rates, and Hybrid Pricing.